Google vs. Amazon – How Ugly Will Things Get? First, Amazon introduces their own app store with features unavailable in the Android Market. Then they all but confirm the release of a whole family of Android devices this holiday season running Android on their own platform, and now we learn that PopCap will release their new Plants Vs. Zombies Android app exlclusively on the Amazon App store. Essentially, Amazon is saying: thanks for the technology, Google. We will now take your ideas, run with them, and use them to create our own protected ecosystem. Do they stick to the “open” nonsense? Or do they start locking stuff down (even more) when they realize that Amazon is commandeering their own platform? What if Amazon strikes a deal with Microsoft to put Bing on their Amazon tablets? What if the ads are handled by someone else whose name doesn’t end in “oogle”? It could be bad news for the search giant. Google has succeeded in building a massive platform that doesn’t fully rely on them. That’s awesome on paper. But it can work both ways. If others start to realize that they don’t need Google, what does Google do? Just sit there and take it? A war is brewing. It's just a matter of time before things get ugly. Well, Mike Trieu, that is what I expected / hoped-for all along. But the Amazon Fan-Boys and -Girls did not believe me. Link's at the bottom right corner, where it always is. Well, it's been exactly three months since this inflammatory article was written and I haven't seen any evidence yet of Google throwing a hissy fit over a little competition from Amazon. And do you know why that is? 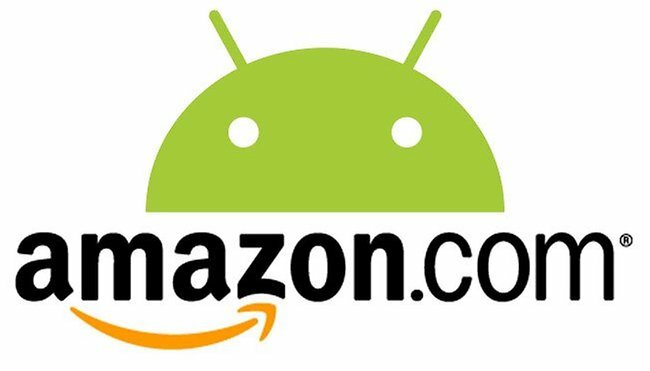 Amazon's Appstore has proven over time to be rather unfriendly to both developers and customers alike by assuming the role of the dictatorial middleman in all market transactions. Furthermore, as evidenced by the recent Motorola acquisition, Google clearly thinks it can do better. Oh, and Steven, next time provide a link to your sources when you quote them. Amazon beats all other eBook vendors in vendor lock in: They have two incompatible eBook Shops: Kindle and Mobipocket. And the best thing is: The difference between the format used by both the two is just one byte. But thanks to DRM that is enough. It's true that Amazon sells eBooks in a format that can only be read with a Kindle App. But are the other vendors doing much better? Personally, I do not have much experience here. This article is suggesting that Amazon will try to sell "Google free" tablets. And that this could lead to a closure of the platform from Googles side. 100% speculative, if you ask me, and most probably wrong. The keyword here is “Kindle”. I have observed Amazons behaviour for a while and from a different angle: The eBook angle. When Amazon entered the App-Store-Arena if was clear to me that they would try to create an exclusive eco-system. Vendor lock in is Amazons 2nd name. @Martin: You saw what coming? This is just a rumour by Androidpit. Multiple App sources are a strength of Android. Personally I think that Amazon can never lock Google out, if they want to sell any Android devices. I have seen this coming when Kindle came out and made my personal decision long ago: I don't buy at Amazon any more. If Amazon locks the Google search or the Android Market out, then I don't think that anyone will buy their devices. I'm tired or wars, intellectual property and litigations.